We are now open on a trial basis and welcome your participation. We encourage everyone to join the discussion. The world is ready and waiting to hear what you have to say. We will continue to provide updates regarding the official opening of Ladyboy Life later this year. In the meantime we encourage you to be a part of our social network. 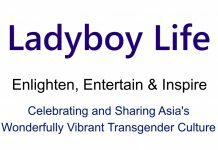 We have Ladyboy Life pages on Facebook, Twitter, Google+, YouTube, VK, Instagram, Flickr, Pinterest, WordPress and Tumblr. We would also love to hear from you if you are interested in becoming one of our featured writers. We appreciate your patience and look forward to bringing you a great website in 2015. As always, you are welcome to contact us here or email us at admin@ladyboylife.com with any questions or suggestions you have.